Switzerland-based SkyWork Airlines is set to open its first route to the UK this month with a flight connecting Bern and London City airport. From March 27, the carrier will operate one flight daily between the Swiss capital and London City throughout the week, except on Saturdays. Double daily flights from Sunday to Friday will start from September 5. For travel insurance holders it will offer the convenience of a direct link from London City to Bern without the need for connecting flights from Geneva, Basel or Zurich. Ski enthusiasts can also take advantage of the flight for quicker access to prominent resorts including Interlaken, Grindelwald and Kandersteg. SkyWork will use a Dornier 328 business turboprop aircraft with a seating capacity of 31 and will offer a free hold baggage allowance of 20kg in addition to in-flight meals in the Swiss tradition. 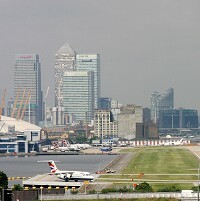 SkyWork Airlines chief executive Tomislav Lang said: "There is great prestige flying to London City airport and we are determined to make a success of this route. "We have terrific support from the Bern community and from our home airport."